Dare to Dream, while being quite a unique story at some points, did include some stereotypes and clichés. The main one featured Maggie's mother, who, having been left to care for her five children by her husband several years ago, now will not hear any mention of him, and has the tendency to drown her troubles in alcohol. As well as that, the children are often bratty and troublesome. While this may happen in real life, and while it really must be horrible to experience, it felt more annoying than truly hurtful in this story, and so, perhaps, the writing of the characters could have been improved to make it feel more realistic. However, I did feel that the setting and subject of the book, with the supernatural elements, put a twist on it and made it more interesting. Continuing on with the issue of realism, there were other parts of the story that did not feel completely realistic. That may seem a strange thing to say when it is a supernatural story, but when you are working with fantasy, you need to make it as realistic as possible to stop the reader from feeling like the story does not make any sense. For example, one question I asked myself while reading the story, was whether Maggie would truly have been so devoted to her father, as she is during the first part of the novel, despite the fact that her mother hates him, and the fact that he left when she was about five and she has not seen or heard of or from him since. There was also some moments that I felt were glossed over and could have been gone into in more detail, like Maggie's trip to see her father, or some aspects of Maggie's journey to Hawkstone Park with Dawn and Andy. There were some parts of that latter trip which were not really detailed enough, like when they had to walk over a crevasse on a fallen tree, while there were others which were far too drawn out. Consequently, while it should have been suspenseful, that part of the story felt more frustrating. 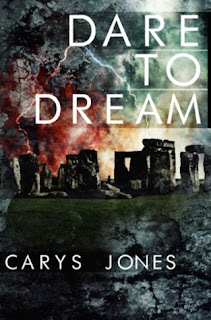 Overall, I did think that Dare to Dream had an exciting plot, with some complex characters, which all had a lot of potential, but I do not think that this potential was completely fulfilled, as there were several small things which prevented it from doing that.